This section is a collection of some of the little utils or apps that I have written. 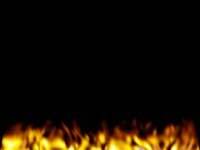 Description : An extremely small assembler program, showing how to create flames. The program is allowed to be copied, modified, whatever you want. If copying please distribute the file with the source and the readme file. This program was written by Jan Horn. Description : This application generates an array of vertices built from multiple bezier curves. You can save the control points to a file and edit them again at a later stage. But there are litrally thousands of things you could use this for. Note : This application requires a 3D card with OpenGL support. Description : An application that shows some information about the planets and their moons in our solar system. The images are all from real photos. You can use your mouse to manipulate the planet and rotate it in any direction. Description : This application is used to create graphs using common mathematical functions. You can type in functions of the type z=x*sin(y), specify a range and then generate the graph for the function. The application has a few interesting graphs built into it that you can select from. 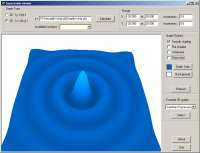 Use your mouse to move and rotate the graphs. Description : This screensaver generates random mazes of various sizes and then solves the mazes. Each maze has only one solution. To find out more about the algorith I used to create and solve the maze, click here . 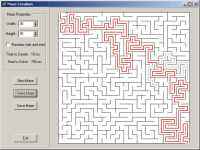 Description : This program generates random mazes of various sizes and then solves the mazes. The mazes can be saved as BMP files. Each maze has only one solution. This is a standalone EXE. No installer or DLL's needed. To get rid of it, simply delete the EXE. To find out more about the algorith I used to create and solve the maze, click here. Description : Now you can finally get some stats about your multiplayer Quake 3 games. - Overall game information as well as player specific information. - Overall Rating of players based on number of kills, deaths and suicides. - Frags, Deaths, Suicides per Hour. - Player Comparisons. Grids showing who killed whom. - See what the most popular weapons are and the most common form of suicide. - Number of kills per player sorted by weapon. Click here for a sample of the reports generated. Before you run it the first time I would suggest emptying or deleting the old logfile (quake3\baseq3\games.log) unless you want to generate reports for the last 100+ games. This is a standalone EXE. No installer, DLL's or registry entries require. To get rid of it, simply delete the EXE. Description : A program used to view SQL Server databases, generate SQL Script, insert statements, select statements and comes with a simple SQL query analyser. The program resides in your system tray and can store connections to multiple servers. Description : This program scans a selected drive or folder and reports the size of all the folders. This is a standalone EXE. No installer, DLL's or Registry entries needed. To get rid of it, simply delete the EXE. Description : I really like this program and it is being used by many people. The program takes an image and then converts the image to text and displays it as an HTML page. The text of the HTML page can be binary, numbers, random characters or a copy of a proper text file. Click here to see this picture of Arnold Schwarzenegger converted to HTML. This page is quite big and might take a while to come down (250KB).